32.3cm x 32.3cm ≈ 12¾" x 12¾"
This painting includes this simple phrase: "Though the sun is setting today, it will also rise tomorrow". Maybe today is over as the man rides alone into the sunset. Maybe today was not a perfect day. But don't give up, tomorrow is another day with new possibilities and opportunities. The Chinese characters on the left is the title phrase that I translated into English above along with the artist's signature. The story and information above was inspired by a long conversation I had with the artist about this piece. Trying to match them up as a set? Please note: There are many many variations between batches of paintings that this artist produces. These include the color of the handmade paper, and slight size differences. If you need a nicely-matching set, please contact us, and we'll do our best to pick out a special group for you (we may have to get some custom made for you, but we are willing to do that if you are willing to wait). 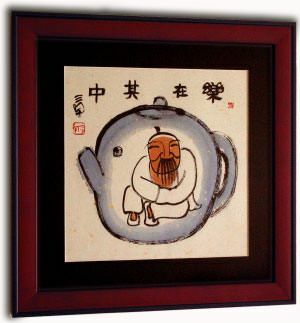 Want a larger size Chinese philosophy painting? If you would like larger versions of any of these titles, just let us know, and we will ask the artist to custom paint some for you. The maximum size the artist is willing to paint is 18" x 18" (45cm x 45xm). 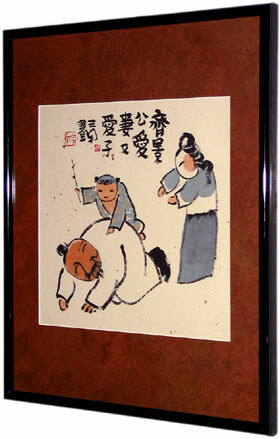 This is double the area of the paintings we normally offer, and the price is also double for the larger custom sizes. 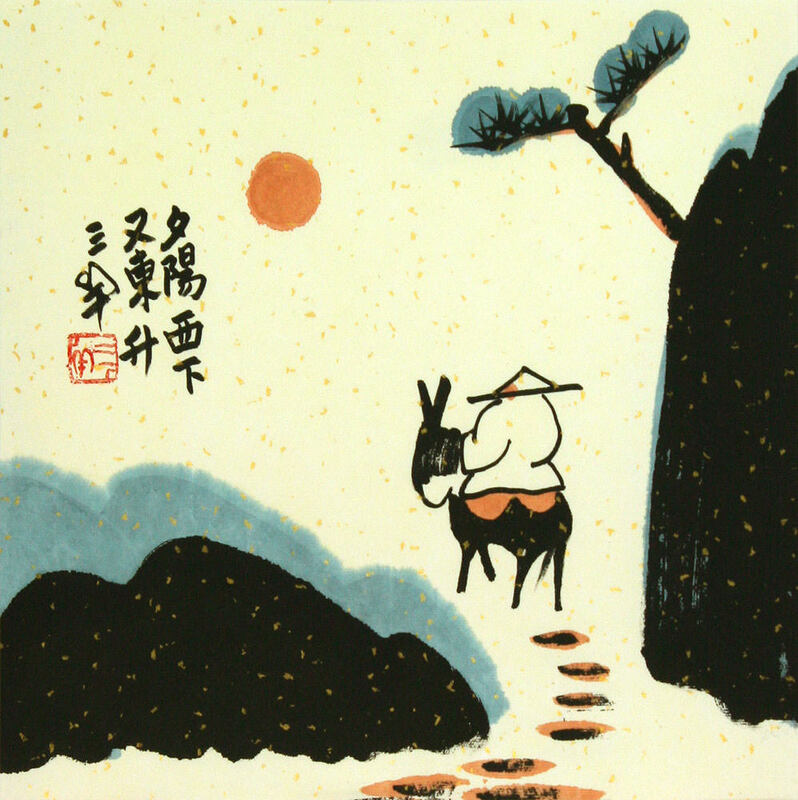 This painting is from the San Yang Collection, a great series of paintings that depict various folklore, stories, and philosophies of Chinese culture. 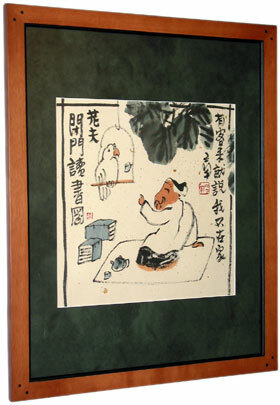 I have translated the stories of these paintings into English with the personal help of the artist. This work was done in Beijing, China by Zhang Xiuzhen whose pen name is "San Yang". 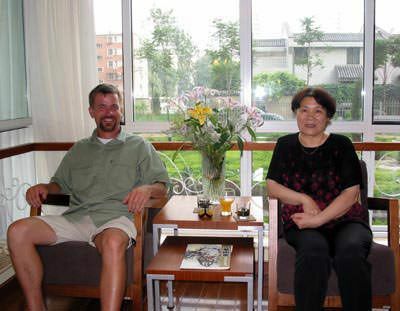 She is a rather famous artist in northern China and has been painting since 1958. Her work has been seen in many international exhibitions around the world over the last decade. This is known as "free-hand style" painting. This style of painting is done quickly with broad and powerful strokes. But often with a half-dry brush. This is a very specific technique that this artist has mastered, and many try to copy. 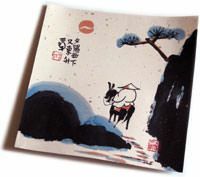 Painted with watercolor and special Chinese ink on handmade xuan paper (rice paper) with gold flecks/flakes. The paper itself is handmade in a process that takes more than a year to complete. We then mount the paper (laminate it to more sheets of xuan paper) to thicken it up an keep it flat and wrinkle-free for the framing process. Note: Framing is not included! 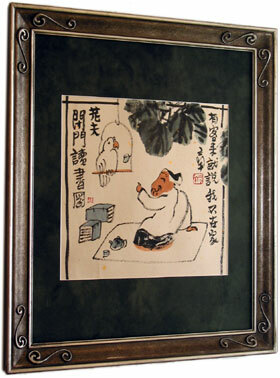 However, the artwork is ready-to-frame, unlike raw unmounted xuan paper that some other Chinese art galleries sell. When your painting arrives, it will look like this after you remove it from the box and unroll it. 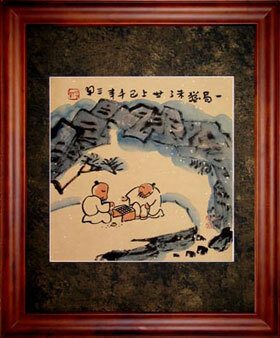 You will need to decide how you would like to display your original hand-painted artwork. I suggest that you take your artwork to be professionally framed. The result may look something like the image to the left. Your other option, which will involve extra time and effort on your part is to find a picture frame that you like from your local art supply store, and mount your artwork yourself. Examples of what this art might look like if you frame it yourself using standard 16x20 picture frames.